Posted in: Crime Stoppers, Media Release, Put A Name with This Face, Reward, WANTED. Tagged: Cordero. 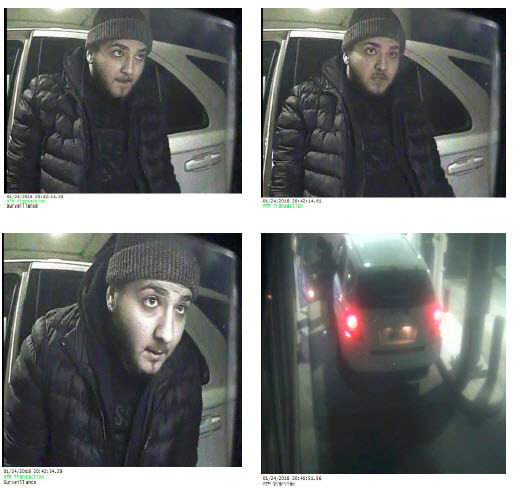 Franklin Police are asking for the public’s help to identify this suspect, wanted for placing a skimmer device on a local ATM last week. Bank employees who discovered the device say they disabled it prior to any customer accounts being compromised. A cash reward is being offered for information regarding the suspect. Franklin Police want to identify a suspect who attempted to purchase several gift cards by swiping multiple stolen or cloned credit cards. She did not get away with anything, due to point of sale computers declining all of the cards that she tried using. The suspect tried to mass purchase gift cards using the bogus credit cards at three Franklin stores: the Murfreesboro Rd. Kroger, the Riverside Dr. Publix, and the Cool Springs Blvd. Walgreen’s. All three attempts occurred on March 30.